Description: A free customizable business distribution flowchart template is provided to download and print. 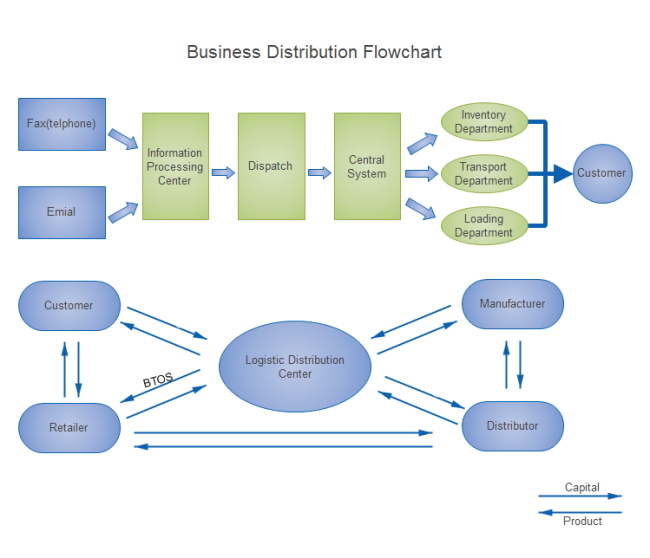 Quickly get a head-start when creating your own business distribution flowchart. The distribution process is displayed from two perspectives so that viewers will be able to get a deeper understanding.